MILANO - From 5.30 until 7.30 p.m. at Palazzo Reale, Sala Conferenze, Piazza Duomo 14: world champion performers show from all over the world. 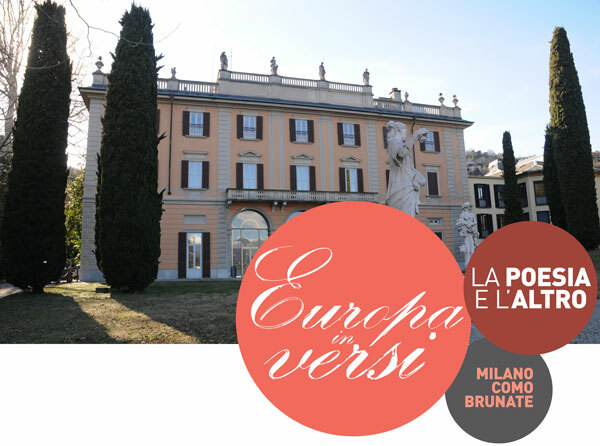 In the afternoon, from 3.00 p.m. in the splendid venue of Villa Gallia, Passeggiata di Villa Olmo which overlooks Lake Como, Europa in Versi will be home an International Poetry Reading with poets coming from all over the world and a Poetry Slam with world champion performers in this genre. This is a golden opportunity for a different type of audience from all over the world. The performer poets taking part in this year's Festival are all of them "slammers", that is to say performers who in their performance combine the language of poetry with the language of the body. It is a new and original way to introduce poetry, appreciated above all by the latest generations as it involves the audience. A Poetry Slam is indeed scheduled in the form of a friendly competition among these young performers, while a Board of Experts, elected within the audience, proclaims the winner. None of the poetry is for a selected few, but it is rather a rediscovery of the oral dimension of poetry, which in the past was aimed at everyone and reached a multifarious audience. - International Poetry Reading: Jeton Kelmendi, Ataol Behramoglu, Ion Deaconescu, Giancarlo Pontiggia, Marisol Bohórquez Godoy, Nicolae Dabija, Dmytro Chystiak, Maria Caspani. - International Poetry Slam: Il più importante Poetry Slam in Italia con la partecipazione di poeti slammer campioni nazionali e internazionali: Dome Bulfaro, Marc Kelly Smith, Roberta Estrela D'Alva, Alexis Díaz Pimienta, Evelyn Rasmussen Osazuwa, Sam Small James, Eell Shous: Davide Passoni e Marco Tenpo. Master of Cerimony: Dome Bulfaro, performer, visual artist, founder of the Italian League of Poetry Slam. On the occasion of the festival the anthology of poets, performers and winners of the Prize Europa in versi and the poetry books of Maria Capani and Ion Deaconescu will be published by I Quaderni del Bardo Editore. Moreover, the books of poetry by Maria Caspani and Ion Deaconescu will be presented. Both the anthology and the two collections of poetry have been translated by the publisher I Quaderni del Bardo. In the evening the award cerimony of the 4th edition of International Poetry and Narrative Prize Europa in Versi will take place. Refreshment will be offered in the evening. The reception of the public and the catering are organized by the students of the Institute Enaip Como. A Balcony on the Alps, as the mountain resort was termed in the Belle Époque, Brunate can be reached from the promenade along the lake by cable car after a breathtaking trip of only seven minutes. It will be the site of a four-stop itinerary through villas and gardens in the Liberty fashion which are open to the public on this special occasion. In the course of the 9th edition of the Festival Europa in versi, the internationally famed poetry slammers taking part in this year's edition will read some of their texts, thus building an ideal bridge with the story of some notable authors from the past who enjoyed a strong bond with these places - Alda Merini, who died ten years ago, the pioneer chansonnier Neno Cantoni, who was born one hundred years ago, and the Bulgarian national poet Pencho Slavejkov, who chose Brunate as the place where he should die, surrounded by beauty. The itinerary will be led by Pietro Berra, manager of the project Passeggiate Creative. Difficulty: minimal; suitable for everyone.